Nothing allowed without consulting me first. 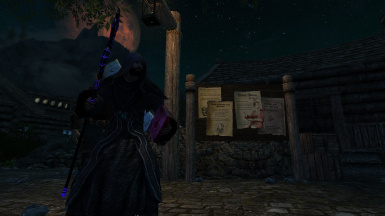 Well i was playing Enderal a bit and i made those items for my Mage character. First of all thanks to SureAI for this incredible development you made, seriously guys you ROCK! 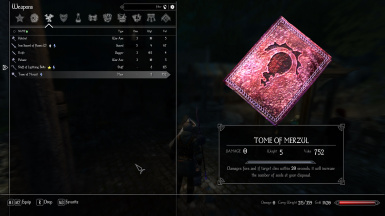 The tome of Merzul: once you equip this item you will be granted with the lesser power "Materialize soul". 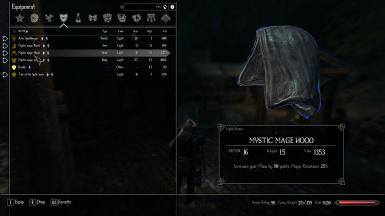 The book works as a mace similar how the items of Heavy Spellbook mod works. It has already a soultrap enchant but modified a bit, everytime you hit someone wich soul can be trapped it will apply the curse of the book dealing your level*10 of damage only once and if the target dies in the next 20 seconds it will fill a soulgem. The book also will trap part of the soul in it and with the Materialize soul lesser power you will recieve a soul embodiment wich can be used as any soulgem. In other words it's like a x2 in soul trapping with an extra hit. 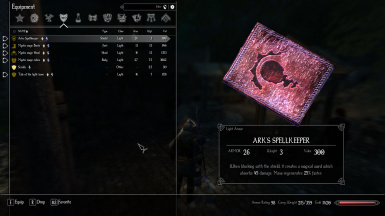 Ark's Spellkeeper:this book can be equipped as a shield and it works like any other shield of the game but also has the same effect as the spellbreaker but a bit changed. 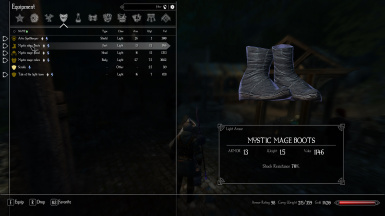 Increased the ammount of damage that can deflect and instead of adding an amount of magicka it will increase your magicka regen by 25%. 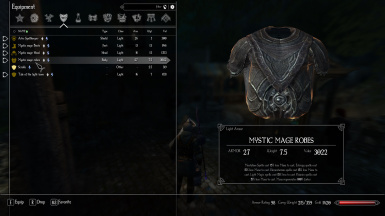 Mystic mage set:Just a recolor of the well known greybeard tunic with the same protection as an entire set of iron armor but in lightarmor and with endgame enchantments. 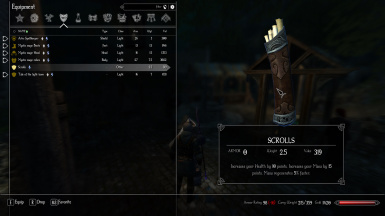 Scrolls: Some scrolls in a quiver that increase your health and magicka a bit. 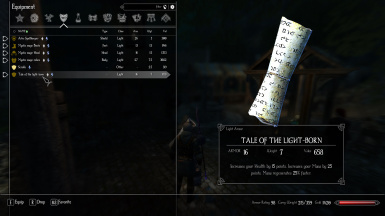 The tale of the Light-Born: similar stats as the iron gauntlets but you can equip it in the back. It has the same effect as the scrolls but increased. 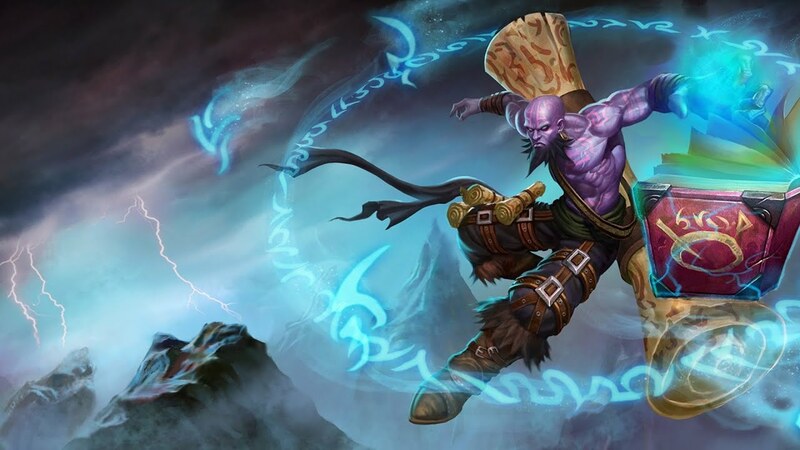 It will make you feel like Ryze from League of Legends. Obviously you will need Enderal to install this mod. Didn't tried it for usual skyrim but i guess that at least the recipes wont work because they use items from enderal the rest... well you may be able to add the items via console but idk. 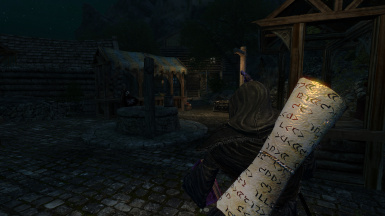 If you want the staff of the image check Elemental Staffs mod it works just fine in Enderal and Skyrim.